I have been working in the development sector for almost 17 years now and have had jobs that have kept me active but, as I have grown in my career path it’s become more sedentary, with minimal fieldwork involved. 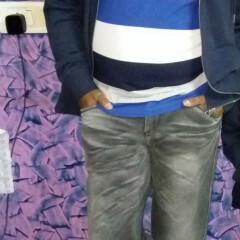 Then came a point in my life around the year 2008 when I had a slip disk and with that came a drastic downswing in my physical activity due to which I gained a distinguished amount of fat especially in the abdomen and the face and eventually fear kept creeping up my body against any form of physical activity. Moving on, I finally decided to do something about it because my stamina and immunity kept deteriorating, I kept falling ill with every change in season and unfortunately I also had sinusitis. So I summoned up all my courage and went and joined the gym. This was around October 2015. What happened next? Well, I strained my back badly and two months after joining the gym a friend of mine introduced me to the concept of fitness bands. But, the band that he had was expensive so I did my own research and came across Goqii. When I studied the model and the product, I realised that it comes with coaching which in fact I found very interesting. The coach concept with a fitness band was so enthralling, to have someone guide and motivate you all the time. You know that you can always count on someone out there who is constantly checking up on you. I immediately decided to discontinue my gym membership because I wasn’t getting the kind of support I needed in that environment. 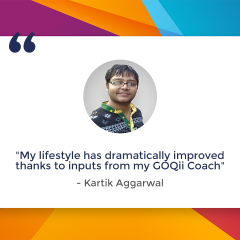 I took GOQi in January 2016 and I got Saba Mirza as my coach. You won’t believe it but, I literally ensure that I am reading my step counts throughout the day and tend to remain as active as possible. My diet, exercises, and my movements are all tracked by her. The prime thing for me right now is the persistent encouragement that I receive from my coach. I know a lot about my body today and I would entirely give my coach the credit for this knowledge I have gained. 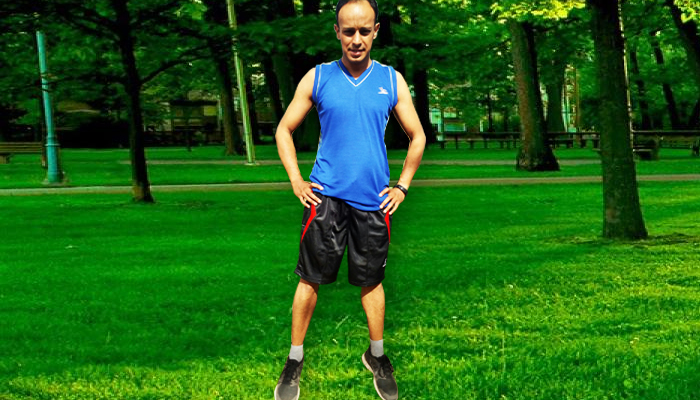 Since January 2016, I have successfully lost six kilos, my stamina and immunity have substantially increased and I am entirely positive about myself. There is so much optimism in me now. As for my diet, in the past, I used to consume oily and junk food. I also sometimes indulge in over eating. All that has stopped now and my diet today has taken a complete shift. I am eating smaller meals frequently throughout the day. I am a changed person today. The discipline in my life has changed me completely. I am more energetic and agile now and that is helping me complete all my work on time. So much so that the filing of all my important documents and personal papers which were pending for ages have finally found their right places. People around me have noticed the changes in me. They say that I am calmer and less anxious than before. I can run up to five to six kilometres today which I could never do before and guess what? The salad is something I am going to eat for the rest of my life! What does coach Saba Mirza have to say about Amit Gordon? And right from day one, he is putting all his sincere efforts to be consistent in this targets. Along with that, I have thrown few challenges in his way such as the sugar-free challenge for five days with which he was so intrigued that he himself extended it to seven days. And most outstanding one was the 500 karma point challenge in 21 days which he with all his determination and vivaciousness, achieved within 12 days. 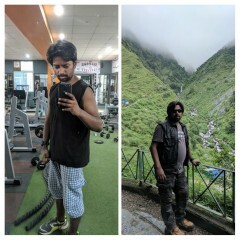 The uniqueness in working with him on his health goals is his yearning to learn new thing and his readiness to accept the new changes. For example, we have started working on increasing his immunity and to prevent the frequent muscle injury. To achieve this, I asked him to add a rich source of omega 3 fatty acid, either from a food source or in the form of supplements. He took the suggestion and started on cod Liver capsules daily. As part of his journey, we are also working towards incorporating a healthy lifestyle for him. Within this goal weight loss has become a by-product. 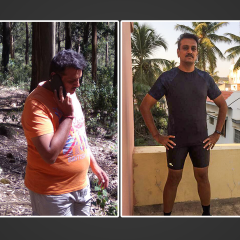 We are still working on making his life fitter and healthier than before and putting all our efforts to be consistent with these healthy habits and goals.